Golda Och Academy is a rich, comprehensive learning environment for students in grades Pre-K through 12. We provide students and their families with classroom instruction integrated with Jewish identity and knowledge. As one of the top preparatory schools in New Jersey, our outstanding academic curriculum implemented by our caring, hardworking faculty prepares students for the finest colleges and universities. At every level, academic learning is enriched by special subjects, such as art, music, and physical education. A vigorous STEM (science, technology, engineering and math) program, based in part on the Israel Sci-Tech Schools Network curriculum that emphasizes real-world problem-based learning, is key to what we do across all disciplines. Varied venues of learning — in classrooms, at extracurricular activities, and on trips —capture the enthusiasm and interest of students at every age and phase of development and promote their love of learning, leadership skills and social and academic self-confidence. "In addition to the tight-knit community created by the school, it instills its students with strong Jewish identities. Because of GOA, I was confident enough to understand Judaism’s prominent role in my life." Our students are engaged in learning from a global perspective and through a Jewish lens, within rigorous study of texts, Hebrew literacy and observing mitzvot. Our nationally recognized Israel education program, with the opportunity for high school students to travel to Israel in 9th and 12th grades, creates a lifelong relationship with Israel and its people. Our students understand the concepts of derekh eretz (respect for oneself and others) and tikkun olam (making the world a better place). Golda Och Academy students become proud and motivated global citizens and leaders of their communities. At Golda Och Academy, our students do more than just learn. Nurturing relationships with teachers in small class sizes enable our students to build an identity as individuals and members of the community. 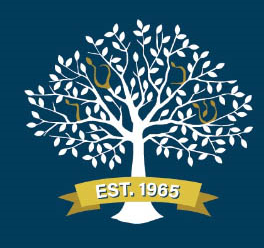 We guide each student to achieve his or her unique intellectual, creative and social potential through an enduring commitment to academic excellence and Jewish learning, always focusing on the individual needs of each learner. "At GOA, we learned to investigate issues, challenge assumptions,pick apart theories, and formulate opinions. These tools have been the base for everything that I’ve done since I graduated, ranging from studying the origins of Jewish identification badges to tackling beginning Arabic to becoming a freelance journalist. Even more importantly, we were taught these skills in an environment that prized learning for learning’s sake. Just three years after graduation, I know that my Schechter education is one of the best gifts my parents could have given." We provide an optimum learning environment in newly renovated and expanded campuses with facilities that enable and promote a modern education. Our classrooms are equipped with computers, SMART Boards, iPads, and ceiling projectors as valuable tools in the learning process. Other resources include technology-enhanced libraries, art studios, music studios, science labs, technology labs and modern, renovated gymnasiums. We invite you to visit our school and find out more about our outstanding program for grades Pre-K through 12. Please contact us to arrange a tour of our school at 973-602-3601 or admissions@goldaochacademy.org. The results of a Golda Och Academy education can be found in our Upper School Profile and from our Alumni Voices.